Supernatural has confirmed Season 15 will be its last. Comprising 20 episodes, the season will bring to a close what is now America’s longest-running horror / fantasy series. The series began in 2005, following two brothers, Sam and Dean Winchester, who lost their mother and whose father raised them to battle demons, ghouls and all things spooky. 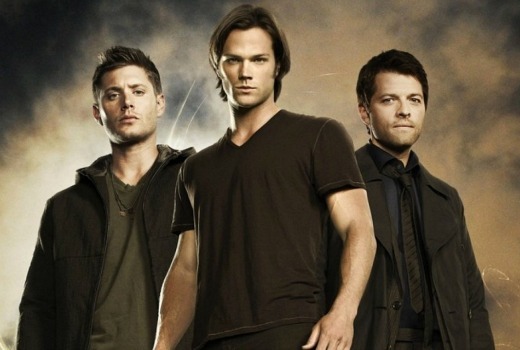 Stars Jared Padalecki, Jensen Ackles and Misha Collins also thanked fans in a video. Supernatural airs in Australia on 10 Peach. I’m just grateful for 15 seasons of a sci fi show that didn’t get ruined by the “ending the network wanted”. Looking forward to the final season. I’ve been watching this show since day one and still do. Its a great show, but its definitely time to wrap it up. I will miss it though. I love Supernatural. I’ve been watching it since season 1 and I will miss it when it wraps up next year. Can’t wait to see how it ends. I suspect ‘Supernatural’s’ female audience wont be happy at this news but considering the average number of seasons for successful sci-fi shows is five (if its lucky) Supernatural is exceptional lasting this long, even Buffy the Vampire slayer ended after 7 seasons. Supernatural run out of storyline a long time ago with too many resurrections and a guest appearance by God and Lucifer, so when you start exploring alternative universes you know a time for closure is near. Not sure how that matters. Shows still cost the same regardless of network. You don’t spend if not profitable. Haven’t looked into the 18-49 demos for the slot, nor the 7 day share, nor overseas sales. There’s a lot to take into consideration, but 15 years is a positive not a negative. Yes agree with the above , all a postive . But I think being on CW still plays a big part , just like Smallvilles ten seasons .But congrats obviously .. Yes there is a correlation with CW and shows going for longer than they would have lasted if they had aired on the other big networks. If you look at a list of say top 20 shows in the US it would be rare to find a CW show rating as high as other main network shows.